The core of your product strategy lies in your product's positioning and unique value proposition (UVP). It should drive nearly all product decisions, including the roadmap, feature prioritization, marketing messages, and sales approaches. Value. It should convey the value of your product. Value is rooted in the problems your product solves. Competitive landscape. It should differentiate your product from available alternatives. Perception. It should acknowledge perceived weaknesses of the product and perceived strengths of competing products. Surprisingly, most companies take the value of their products for granted and don't bother to explicitly formulate a unique value proposition. 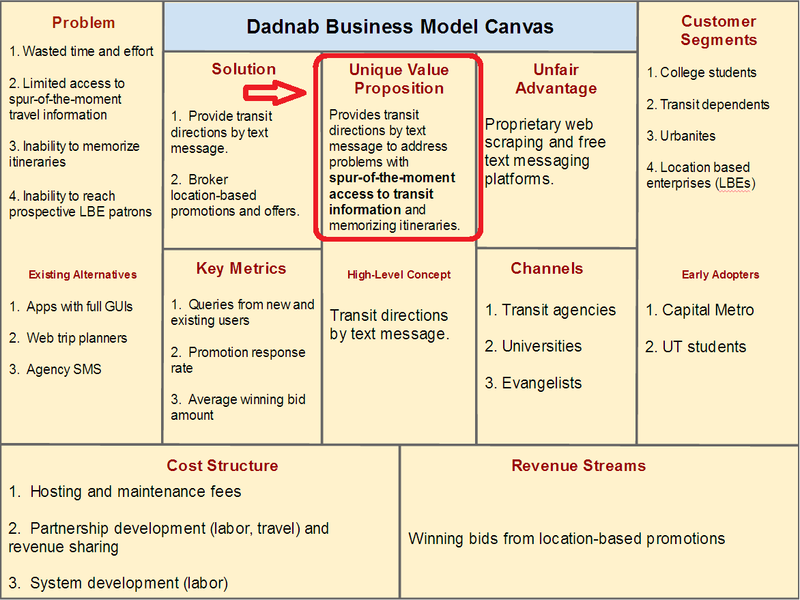 For others, determining a unique value proposition is haphazard, with little or no process guiding the decision. At best, they focus on the value and pay insufficient attention to perceptions and the competitive landscape. Enter the competitive mindshare map. A competitive mindshare map helps you determine a unique value proposition for your product and ensures it properly accounts for the competitive landscape and market perceptions. What is a Competitive Mindshare Map? A competitive mindshare map is a visualization of how products are positioned in the competitive landscape. The competitive landscape, however, is not a set of line items or numbers in a spreadsheet or chart. The competitive landscape is the mind of the prospect. "Marketing is not a battle of products, it's a battle of perceptions." A competitive mindshare map divides the mind of the prospect into territories and places each offering into the territory it occupies. Just as a country, no matter how great its military might, can't occupy an entire continent, your product can't occupy every territory in the prospect's mind. You must acknowledge the perceived strengths of competing products and the perceived weaknesses of your product. You must cede the territory your product can't realistically occupy. Positioning your product is a matter of fortifying and defending the territory it already occupies, invading weakly-defended territory, or capturing uncontested territory your product can hold. Place a logo in a distinct region of the brain. You carve up the brain into any size, shape, and number of regions. Typically, you can extract logos from competitor web pages. Provide a short (no more than three major words) category name or theme that conveys the perceived strength the product "owns" in the minds of prospects. Provide a terse explanation of the product's perceived strength. Depending on the tool you're using to compose the map, you can make the logos hyperlink to web pages with more information (such as actual product pages or more detailed competitive intelligence documentation). Does the map include the major competitors, including in-house solutions that customers might build themselves? Does your category name or theme convey a promise that your product actually delivers (or will deliver in the future)? Do the category names (or themes) and descriptions of competitors accurately represent their perceived strengths? Positioning your product doesn't have to be "black magic". A number of concrete factors should guide the positioning of your product and the selection of a unique value proposition. This article will help you take a methodical approach to positioning as you compose your competitive mindshare maps. "No matter how complicated the product, no matter how complicated the needs of the market, it's always better to focus on one word or benefit than two or three or four." "The power of a brand is inversely proportional to its scope." "A brand becomes stronger when you narrow the focus." You'll face strong pressure to extend and expand the territory your product occupies. As a general rule, it's best to resist it. Ironically, the power gained by narrowing the brand's focus has a halo effect that increases - not decreases - its reach into the minds of prospects. The easiest way to start is to get the template. Click one of the options below. Simply create a copy of the template in Google Drawings or download the template in PNG image format. To the extent you didn't collaborate with others to compose the competitive mindshare map, schedule sessions to review it with the executive team, marcom, sales people, and customers. If you're torn between two value propositions, you can devise experiments (such as A/B tests with landing pages) to test how they resonate with prospects. 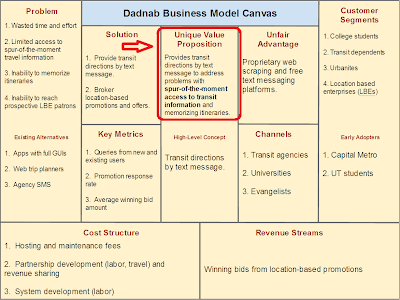 Ideally, your team evaluates every product decision in terms of the extent to which it fulfills the promise of the unique value proposition or helps to instill, in the minds of prospects, the association between your product and its unique value proposition.